The U.S. government has imposed Cuba Travel Restrictions since 1960, after Fidel Castro came to power. The American government has essentially limited sanctioned travel to journalists, academics, government officials, those with immediate family members living on the island and others licensed by the Treasury Department. 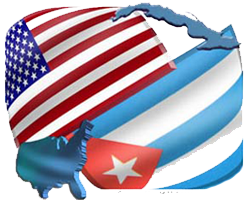 In January 2011 President Obama issued an executive order easing Cuba Travel Restrictions on travel by U.S. citizens to Cuba. The changes are similar to ones put in place during the Clinton administration who himself eased Cuba Travel Restrictions. But those changes were rescinded under the administration of President George W. Bush who took a harder line on Cuba Travel Restrictions. The latest Obama move makes it easier for American students and religious and cultural groups to visit the island. Cuba Travel Restrictions also allow for authorized travel to Cuba typically which takes place via charter flights from Miami, since direct flights by U.S. airlines are illegal. Cost of the short flight typically exceeds $500 per round trip. However, current Cuba Travel Restrictions make it illegal for any U.S. visitors to bring back any purchased goods from Cuba, such as cigars. It also is illegal to contribute to the Cuban economy in any way, such as by paying for a hotel room. 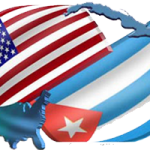 Although recent treasury department guide lines allow for the purchase of such Cuban services via third country agencies not domiciled or present on Cuban territory. Some U.S. citizens, flaunt the Cuba Travel Restrictions, tens of thousands, by some estimates and skirt the travel rules by entering from the Cayman Islands; Cancun, Mexico; Nassau, The Bahamas; or Toronto, Canada, and requesting that Cuban immigration officials not stamp their passports which, as a matter of fact, Cuban immigration does not do anyway. However, violators of the Cuba Travel Restrictions can face fines or more severe penalties although, over recent years the numbers have dwindeled. The number of individuals penalized by OFAC has fallen considerably since 2006 as backloggedcases have been resolved. A total of 290 individuals were penalized in 2004, 579 in 2005, 21 in 2006, and 17 in 2007. In 2008, OFAC reported that 32 individuals were penalized, with the great majority for having purchased of Cuban cigars over the Internet, while in 2009, just three individuals were penalized, and just one individual in 2010. To date, no individuals have been penalized in 2011 for violating the Cuba Travel Restrictions with record numbers, upwards of 500,000, Americans estimated to visit Cuba this year. 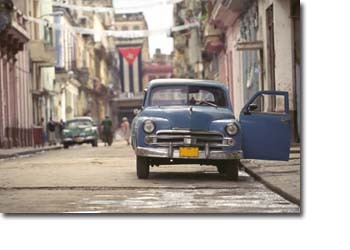 Although under current Cuba Travel Restrictions, American tourists will still be unable to travel to Cuba for vacations, the new travel rules broaden the categories of persons authorized to travel to the Communist nation, which previously had been limited to Cuban Americans and a handful of other people. The changes will also allow ANY U.S. citizens to send up to $2,000 a year to help Cubans support religious institutions or run small businesses. Previously, only those Americans with family in Cuba were legally allowed to send money to the island nation. The new Cuba Travel Restrictions will also allow authorized religious institutions and universities to issue permits for their members to travel to Cuba, while other cultural and educational groups will be able to seek licenses for such trips under the updated Cuba Travel Restrictions. The measures also will allow more U.S. airports to operate charter flights to Cuba, and Americans will be permitted to send up to $500 per quarter to Cubans, excluding senior Communist officials. This latter point being a monumental change in strategy under Cuba Travel Restrictions, the new rules do not require congressional approval as they were approved under executive order. The Washington Office in Latin America (WOLA), a think tank opposed to Cuba Travel Restrictions said the Obama’s administration’s new rules are a positive step toward changing a failed policy. “This is the most significant relaxation of the Cuba Travel Restrictions in the last two decades” said Geoff Thale, program director at WOLA. WOLA said the changes significantly ease rules on travel to Cuba for educational, religious and cultural exchanges. They also permit “people-to-people” travel, allowing licensed groups to travel to Cuba for interchange with the Cuban people. “This is a welcome step that comes at an opportune time,” said Thale. Among the changes to the Cuba Travel Restrictions : More U.S. airports will be allowed to offer charter flights to serve delegations that travel to Cuba under the expanded rules.The latest airport to be added to a, now long list, is Oakland.